On September 23, 2013, the ban on general solicitation was lifted via Title II of the JOBS Act. Advertising deal terms publicly was illegal for the past 80 years. Now funds are allowed to use traditional and online media to announce the fundraising round, communicate the deal terms, and reveal other material information to the wide audience of people where some could be potential investors. Monetarex reviews the data to determine whether a conservative commercial real estate industry takes advantage of the recent changes in the law. We have analyzed the impact of new general solicitation rules on 3,896 investment opportunities launched in 2014 and 2015. 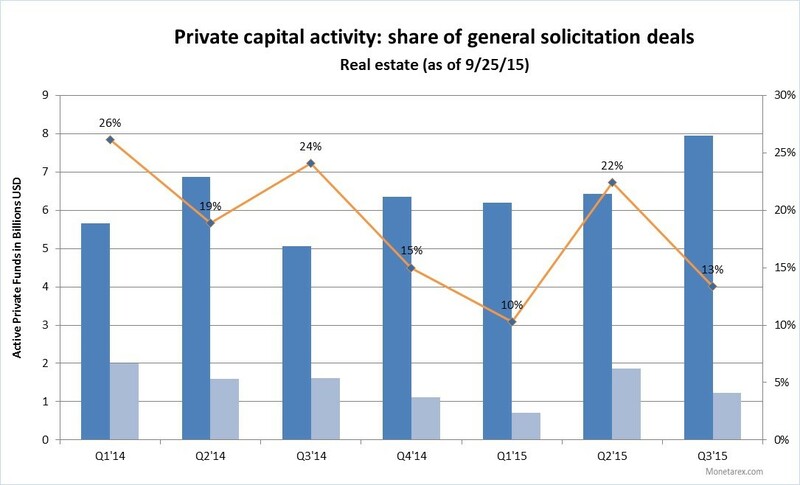 Result: in the past seven quarters 11% of private deals filed with the SEC used 506c exemption. According to the Form D filings, for the past seven quarters the total offering amount in New Rule 506(c) offerings for the Real Estate sector was over $9 billion. This figure represents 19% of the adjusted total offering amount across all Form D filings this period. 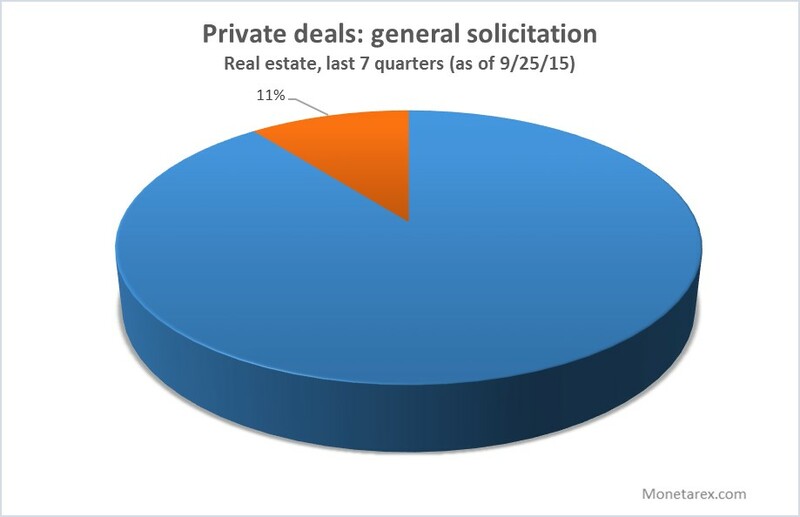 The share of general solicitation deals (by the total offering amount) stayed relatively stable at around 19%. Some outlier quarters are explained by couple of larger deals filed. For example, in Q1’14 506c private placements accounted for 26% of $2 billion in total offerings but 40% of that activity belonged to Ely Tenant, LLC, a deal associated with the second development within the Hudson Yards area in New York. Another example, a $400M multifamily fund launched by Trinity Property Consultants accounted for 21% of all 506c activity in Q2’15. If these two funds were to utilize a traditional 506b raise the share of general solicitation deals would be around 17% for both quarters which is in-line with the 2-year historic run rate of 19%. Obviously, the industry does not have enough historical data to judge whether 20% of offerings is too high, too low, or will become a norm. But we know the new rule is being utilized – $9B advertised in total offerings in the past seven quarters for every 10th deal that was filed. 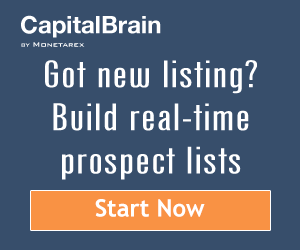 Time will show whether real estate companies accept the change and are successful in their general solicitation efforts.